Learn more about web typography from our free ebooks. Looking for the right font combination and going through the entire Google Font repository is a tedious job. 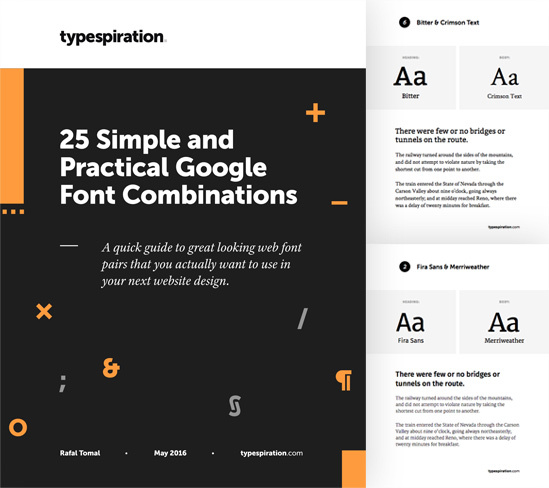 If you want to save yourself some time or you just don’t have an eye to pair the right fonts, then this guide is for you.